Hi all ! As promised I am back. Still having difficulty loading word press but I guess it is what it is. So much time has passed. We as gamers are getting ready for E3 2018. This year is looking to be great. There have been tons of leaks and rumors. 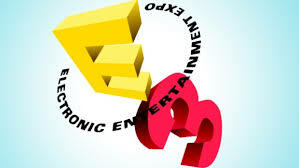 I’m not going to discuss them here, I would rather talk about what each company needs to do to be successful this E3. 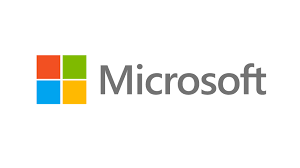 I would like to start with Microsoft. They have taken a back seat this generation releasing one of the most powerful systems with no games. Sure we have State of Decay 2 and Sea of Thieves but these games are nothing to write home about. Microsoft needs to bring the games, new ones to be exact. Some how they have lost their thunder they had during the 360 era. We need games like tomorrow needs yesterday! Sony on the other hand has been on top by releasing game after game. Not only are they releasing them but these games have good scores. The PlayStation 4 maybe at the end of its life cycle but it sure does have stellar games. This year Sony is only focusing on four games, which at first seemed to be miniscule. Upon further investigation you will learn that they will be going deeper than just game trailers. Since they have been delivering game after game the focus on four games is acceptable. Well that takes care of Microsoft and Sony,where does that leave Nintendo ? They are already in the winners seat. They are riding high off the success of the Switch. 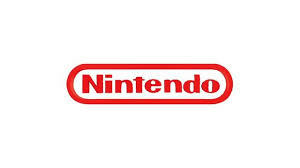 If you have been following this blog you would know that Nintendo took first place at last years E3. The announcements, the games and trailers all made for spectacular show. If they can repeat what they did last year they will take home the crown again. Here’s hoping that we will have a great E3. I just wanted to give my thoughts on what I think each company needed to do. Do you agree with my thoughts? Do you think I was too tough on Microsoft? As always share, comment and follow! Until next time. Injustice 2 is more like injustice 1 and that’s a good thing. The game is packed with single player content and a ton of characters to choose from. From first glance you can tell some work had been done to the graphics. After all this game was made for newer gen consoles. Characters have super moves that are a spectacle to watch. My favorite two people so far are Cat Woman and The Flash. I’m making it a habit this time of only choosing these two as I strive to play better. The game has stellar sound which is a plus for anyone who owns a sound system. If I had one complaint it would be about the block button being configured to pressing back on the d-pad. In my opinion Injustice 2 plays much better. I was able to pull off combos very easily. This game is a must buy for fighting fans. Now Tekken 7 is coming out in a few days, those who can only choose one to purchase have a serious decision on there hands. Tekken 7 is a 3d fighter while injustice 2 is 2d. It all depends on what you like. This was just my quick thoughts on this game. Have you played Injustice 2? As always continue to follow, like and comment! Thanks. Are graphics Important? What about Power? Are graphics important? Do we need to be stimulated with our eyes to appreciate a games worth? Super Mario Brothers on the NES lacked the graphical finesse we see today but it possessed a challenge. The Xbox One and the PS4 have both raised the bar in terms of graphic fidelity but does it matter? It depends on the person I guess. I love graphics but gameplay is just as important. You may prefer gameplay overall. Games like Horizon Zero Dawn continue to blur the lines between great graphics and gameplay. The game received a 9.3 from Ign.com. I must admit that I was sold on graphics alone as a child. I left the Nintendo Entertainment System for the Sony PlayStation. It was something about the graphics on PlayStation that stood out to me. The first game to ever catch my eye was Tekken. When I saw, the character named Jun cracking another character bones it made me jump inside. Not because I was feeling the pain but because I was intrigued by the graphics. As you can see graphics do play apart but to what extent, you decide. Now let’s talk power! The Xbox Scorpio is coming out this Holiday season. So far all we have been hearing is about its specs. The specs are impressive, don’t get me wrong but the games are just as important. You can have all the power in the world but without any games it means nothing. What if there are games? Are developers taking advantage of the most powerful console ever created? Will they be held back by the original Ps4 and the original Xbox one? These are questions that gamers want answered. If you follow this blog, I did a post not too long ago titled “Dear Microsoft what are you doing”? You can read it here. In it I ask the big questions as to what they are doing. Turns out that they have some tricks up their sleeves for this year’s E3. I am not an informant or anything of that nature. It’s just wishful thinking. I’m looking forward to the graphical bar being raised with project Scorpio. Are you looking forward to E3? Are graphics important? As always be sure to comment, share and like. What’s going on? Today Microsoft has announced the specs of the Xbox Scorpio. If you remember, in one of my last posts I went in on Microsoft asking the question What are you doing? In turns out they are up to something. Project Scorpio will be one of the most powerful console to date. Most of all it will be able to play Xbox one games and Xbox 360 backwards compatible games. For the specs list go here. Are you excited for project Scorpio? I know that I am. What do you think of its specs? As always be sure to follow, like and comment. If you have been following this blog, you would know how much I adore Gears OF War 3.I loved the characters and the story. It took me some time to get used to Gears of war 4. After all it is a game without Locust or Queen Myrrah. We are no longer fighting for the horde, that is if your locust. I have to admit I didn’t like the Swarm or the Robots you have to fight. However, once I got past that I began to enjoy the game. What we have is a game that is nothing short of amazing. Gears4 is packed with action from the story mode to horde mode. Playing as Marcus’s son makes the game that much better. It’s Gears for a younger generation. The multiplayer part of the game is 60 fps which is a step up from Gears3. It is my opinion that the characters are less chatty during gameplay than the characters of Gears3. This takes nothing away from the game. If I had to say something negative it would be the micro transactions. This is ok because you can use in game currency to purchase items as well. Overall, Gears4 caught me by surprise. It truly is a game worth playing. So what are you waiting for? Get the lancer and start shooting. Have you played Gears of War 4 yet? What are your thoughts? As always like, comment and subscribe. And the E3 2015 the winner is……………………..
Microsoft, Sony and Nintendo all brought their A game to their respective conferences. Each one was flasher than the next. But who had the best conference? Well depending on who you ask, your answer will be different. Microsoft started out strong announcing their line up of games and 360 backwards compatibility. Sony did the same as expected, one of the highlights for me was hearing about Shenmue 3. That game alone got me excited. Some people felt that Nintendo digital conference was lack luster. So enough with the chit chat, who do I think won E3 2015? I have to say my vote is with Microsoft. Being able to play Xbox 360 games for free without a service fee spoke volumes. The game line-up stood out more to me as well. How can I forget to mention the car that was lowered on stage, that was cool too! What are your thoughts? Who do you think won E3 2015? As always be sure to follow, like and comment.